We are recognized as one of the leading manufacturers, suppliers and exporters of the premium quality Homeopathy Pills. 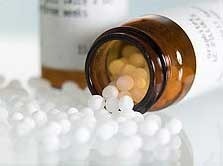 The Homeopathy Pills, offered by us are high on demand for their clinically certified composition. Micropellet was found in 2000 as a manufacturing unit. 15 years after its foundation the company has been able to adapt to the fast growing technological changes to have an edge in the global market place. While achieving this growth we are still maintaining it as a family owned enterprise to make best of the advantages of being a closely held company. We also provide an exhaustive range of services including Product development in Solid Dosages Form, Formulation / Analytical Research & Contract Manufacturing, etc. Backed by a team of highly qualified and experienced people, Micropellet has now become a pioneer in the field. Micropellet manufacturing plant – a complete stainless steel, state of the art facility is situated in Nashik. Micropellet today serves all major pharmaceutical companies in India and abroad & various bakeries & other institutions. In an order to ensure that the offered sugar is safely reached at patrons' premises, we pack these in high grade packaging material. We have diligent professionals who ensure to gratify the needs of patrons by providing them high grade products. In addition to this, we have sound infrastructure that is installed with modern machinery. We stand to gain from the fact that, India is being projected as the future pharmaceutical hub in the global knowledge economy.